AllFreeJewelryMaking.com is the ultimate resource for jewelry makers of all level and tastes. We provide over 4,800 free DIY tutorials, tips and tricks, patterns, and how-to videos that cover a wide range of jewelry techniques from basic stringing to complex stitching. Our content is clear and engaging enough to inspire beginners and advanced jewelry makers alike. Our readers are 50+ retirees and jewelry makers who gravitate towards simple, budget-friendly jewelry tutorials. The majority of our readers are intermediate level jewelry makers who love seed bead projects. Mostly older women, our readers enjoy strung jewelry projects, beginner level patterns, wire-wrapping, and bead weaving tutorials. We welcome all those with an interest in jewelry making, from novices to jewelry making experts. Check out our staff page to meet the editors of AllFreeJewelryMaking! Our goal is to provide five minutes of fun every day in the life of a crafter, as well as quick and easy ideas for any occasion. 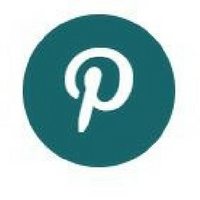 More than 40 million monthly page views by crafters, makers, and DIYers. More than 6 million eNewsletter subscribers. 38 websites that cover everything from knitting and crochet to food and wine! 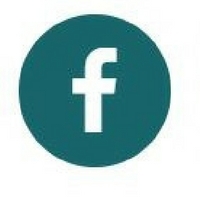 More than 63,000 followers and subscribers across Facebook, Pinterest, and other social media platforms. More than 11,500 YouTube Subscribers. In-house video studio, craft studio, two test kitchens, and 40+ full-time editors show our commitment to creating quality content for crafts. 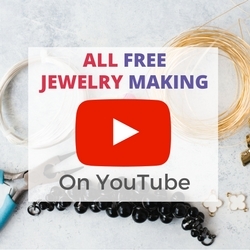 Subscribe to AllFreeJewelryMaking on YouTube for hundreds of free jewelry making videos and tutorials! We bring in crafting talent from all over the blogosphere frequently to film the latest and greatest quick and easy jewelry making tutorials in our studio! Our free email newsletter, Bling Buzz, will teach you how to make jewelry, no matter what your skill level. Every issue of Bling Buzz features free jewelry projects, beading patterns, tips, and tutorials to inspire all your DIY jewelry creations! Find out about all of the newest giveaways featured on AllFreeJewelryMaking and our sister sites. Each week there are more than 36 different contests you can enter, featuring prizes like cookware, yarn, kitchen gadgets, and more! Contact Us: For more questions about AllFreeJewelryMaking, our newsletters, or our projects, check out our Contact Us page. Submit Your Project: Become a published crafter! Submit Your Project today. FAQs: Still can't find what you're looking for? 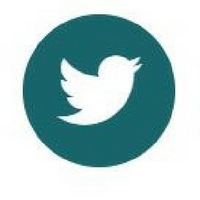 Check out our Frequently Asked Questions page. AllFreeJewelryMaking is owned by Prime Publishing LLC, a leader in building multi-platform brands that inform, inspire, and engage consumer audiences. Meeting at the intersection of information and engagement, and powered by innovation, the Prime Publishing brands span digital websites, email newsletters, social media, and e-commerce. Our diverse group of cooking and crafting properties allows consumers to enjoy the content they desire on their desktop, laptop, tablet, phone, and more.